Anna is busy packing. She will be leaving here bright and early on Tuesday morning for her new home. 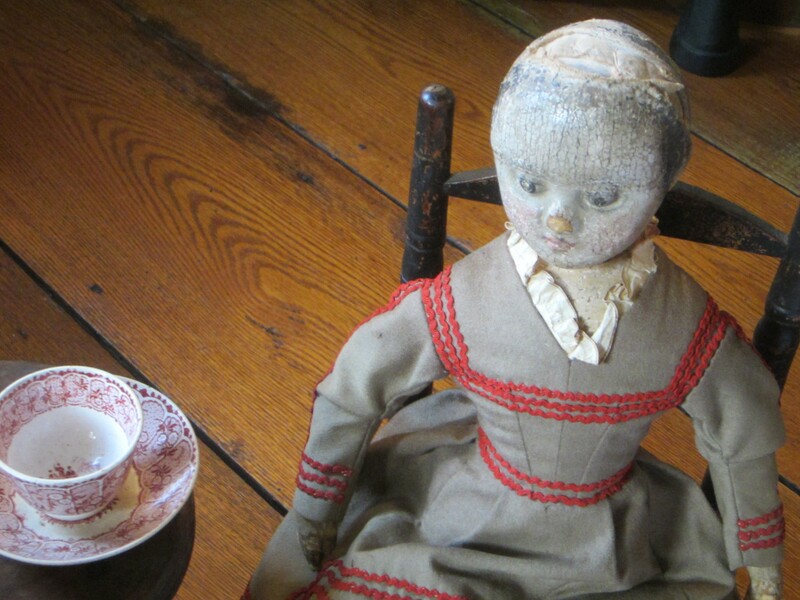 Billie’s doll is ready for her dress fittings and will be leaving here very soon. Look for her upcoming farewell post. Lily #1 has picked out her dress and jewelry and is patiently waiting for me to make them so that she can go home with her older sister. 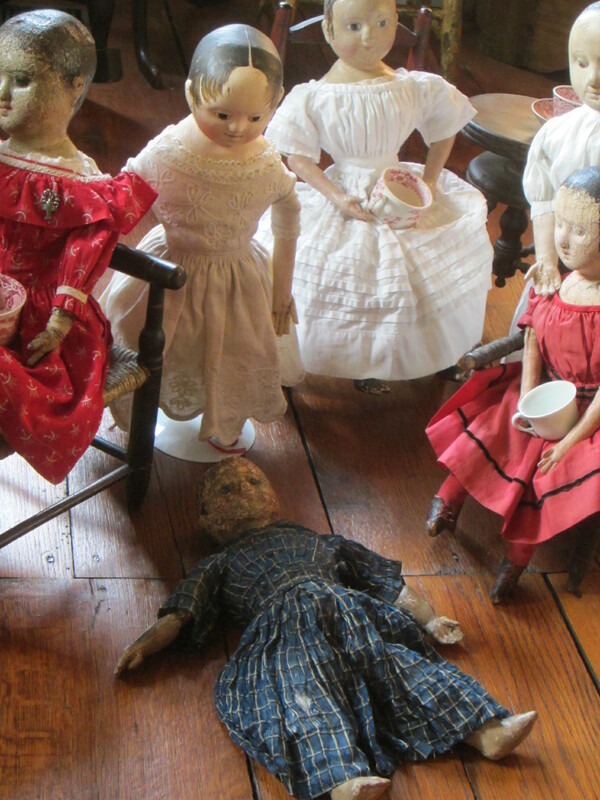 They plan to quilt together during the winter. Lily 2 is also still available for sale. 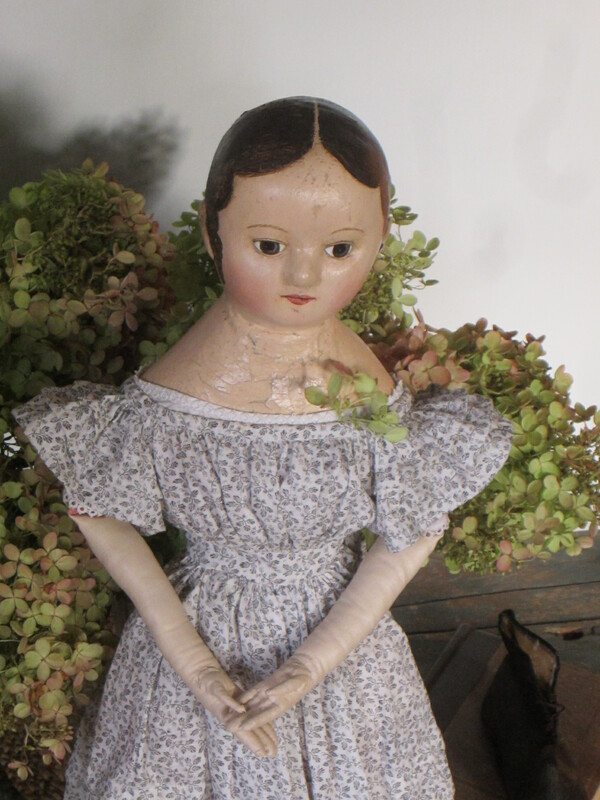 If you love early, worn and primitive then Lily may be just the reproduction Izannah you have been longing for… $1250.00 fully dressed, you may still pick out her clothing if you purchase her now. 2 Izannah Kits finished and ready to mail – 1 painted & 1 unpainted. A full instruction book + patterns comes with each head. The unpainted head/kit is $200 and the painted head/kit is $375. and Izzybelle is still to tired to move! Thank you for coming to celebrate with us! It was quite late last night, when I was writing up the first of this year’s birthday posts, so it totally slipped my mind that I was supposed to put these two items on the “what’s for sale this weekend” post. 🙂 Better late than never! 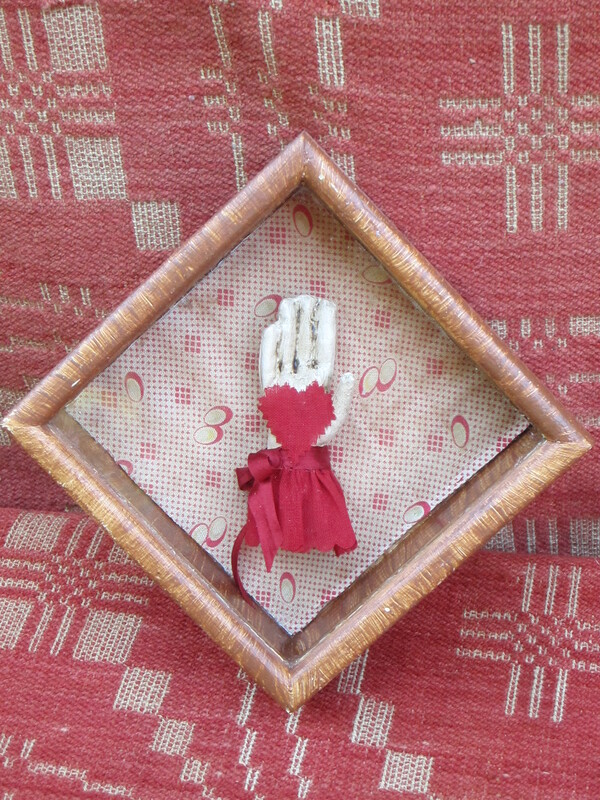 This is how I have the tiny hand displayed in my studio. 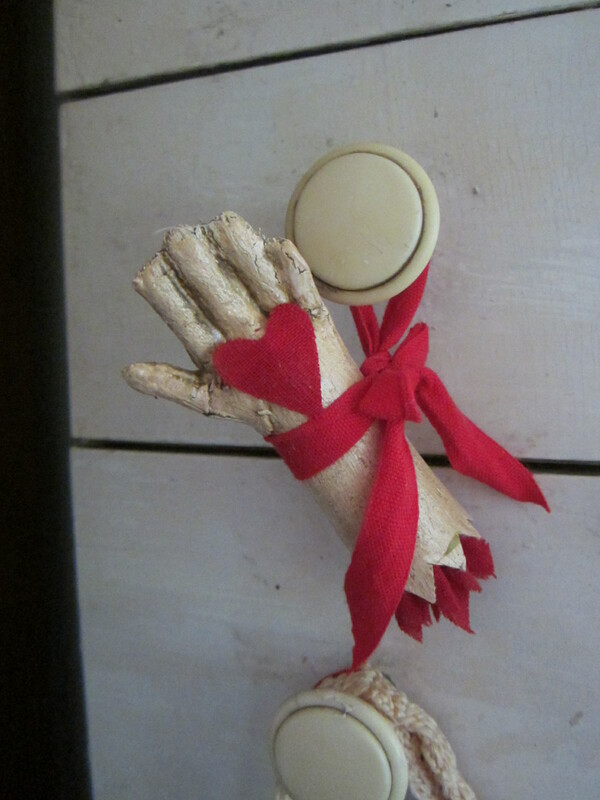 The little white drawers are filled with buttons. 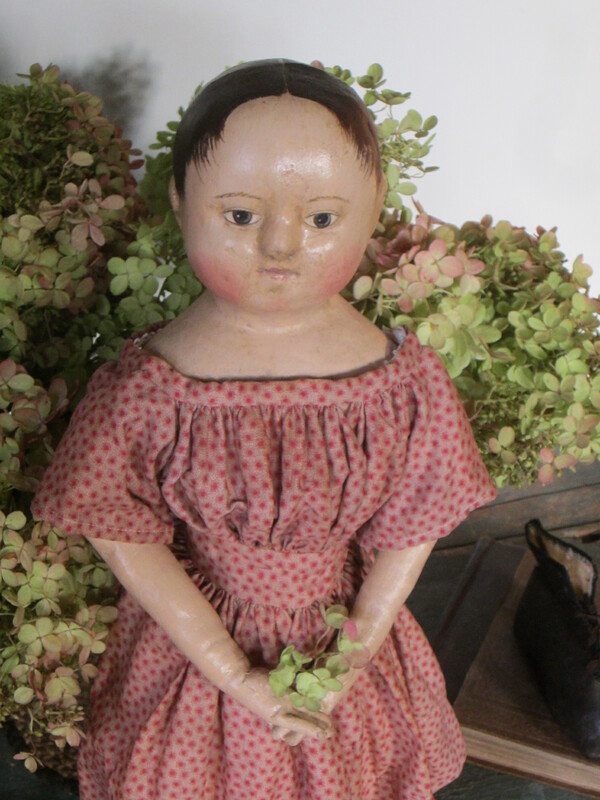 SOLD Other items newly posted for sale include this aged and beloved reproduction doll made from my Anna mold. She is such a wonderful doll! It doesn’t show up well in her photos, but her body is so fantastic. Her arms and legs hang just right! As if they had lived through countless years of play time and naps. 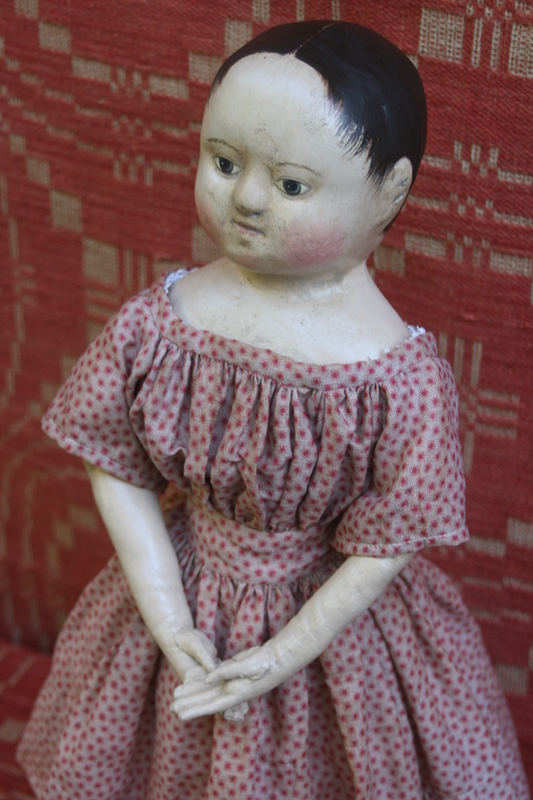 She is $1250 and if you buy her this weekend she comes with a tiny miniature antique tintype photograph. Scroll down the page to see many more images of this Anna. 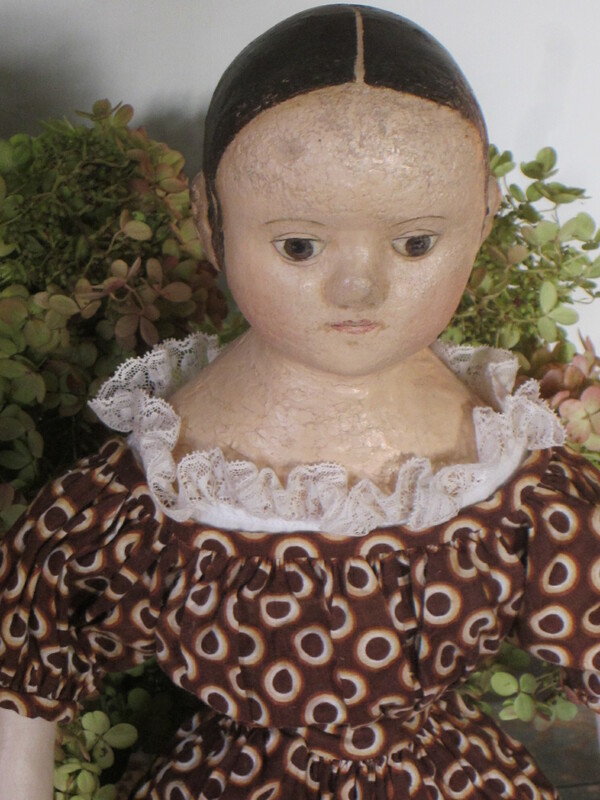 Lily 2 is the third doll that I’m working on that is still available for sale. 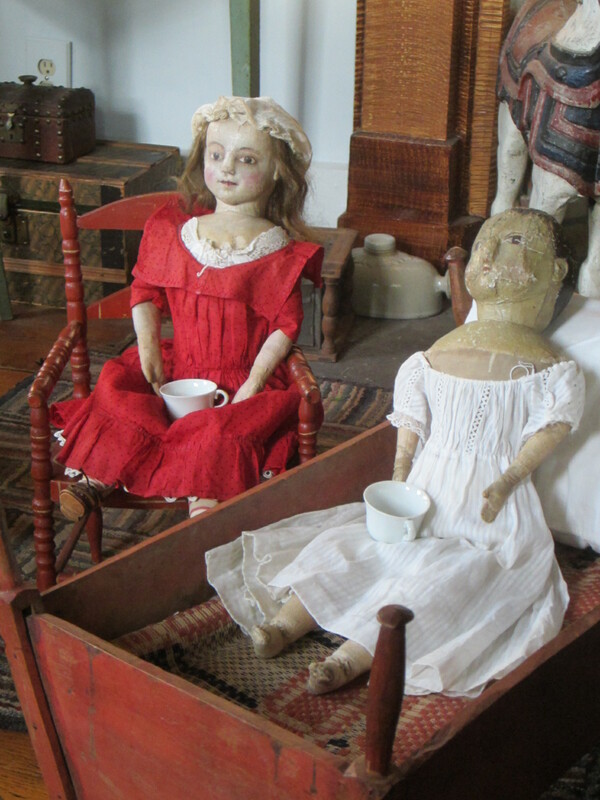 If you love early, worn and primitive then Lily may be just the reproduction Izannah you have been longing for… Scroll down for additional photographs and information. 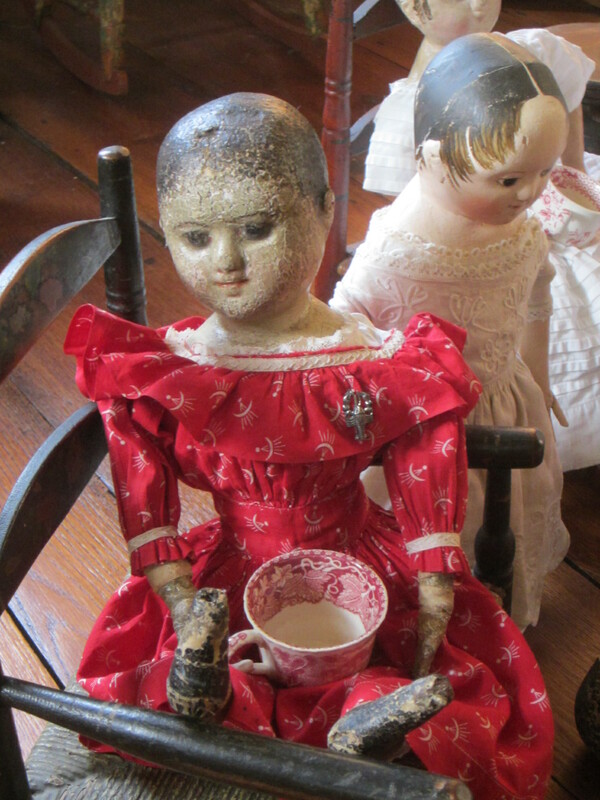 Zanna wants me to remind you that she and Izzybelle are still manning the tag sale and that all of the doll furniture will be 10% off through midnight on Sunday! And last, but not least… two Izannah Kits are finished and ready to ship. One with a painted head for $375 and another with a unfinished head for you to paint for $200. 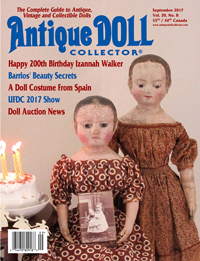 If you have been dreaming about a special reproduction Izannah Walker doll, I would be very happy to help bring your dreams to life. 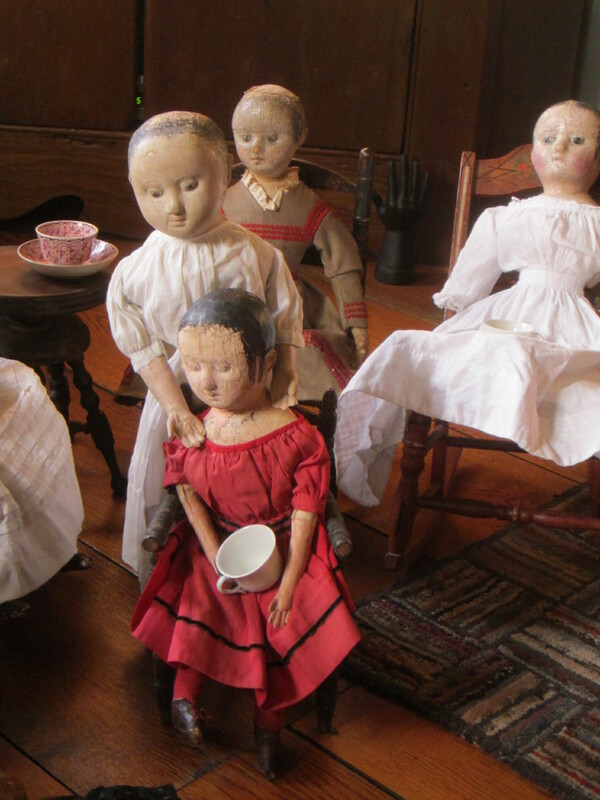 I am currently booking custom order dolls for July 2016 and beyond. 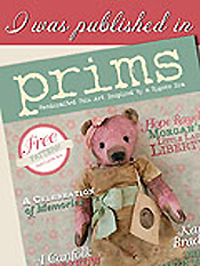 You may call or email with questions about custom orders and to discuss all the details. 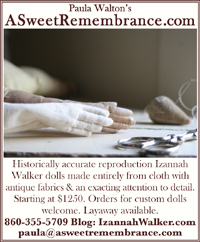 860-355-5709 during east coast business hours, or paula@asweetremembrance.com anytime. 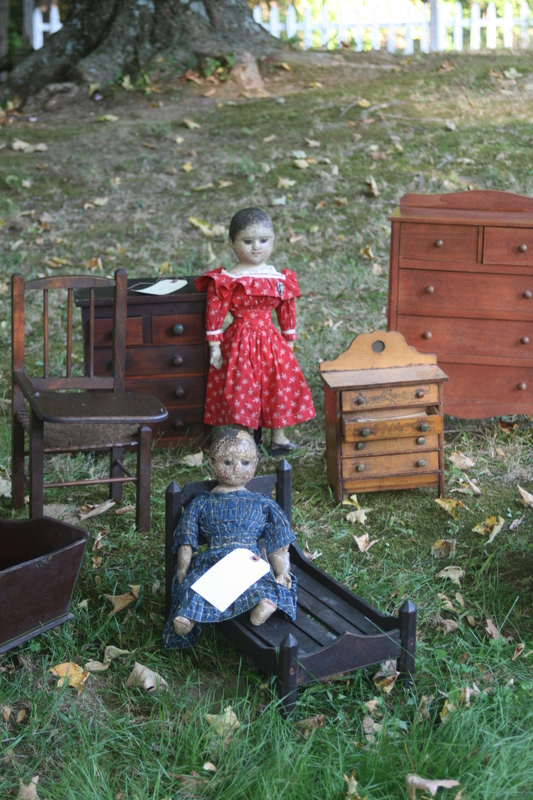 Here is a link to the doll furniture tag sale. 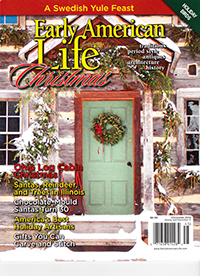 Click here to see more photos of Anna, Lily and Hannah. 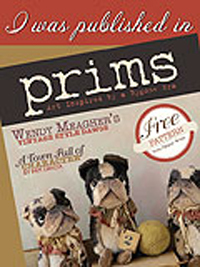 And this final link will take you to my Izannah Kit page on Paula Walton”s A Sweet Remembrance. 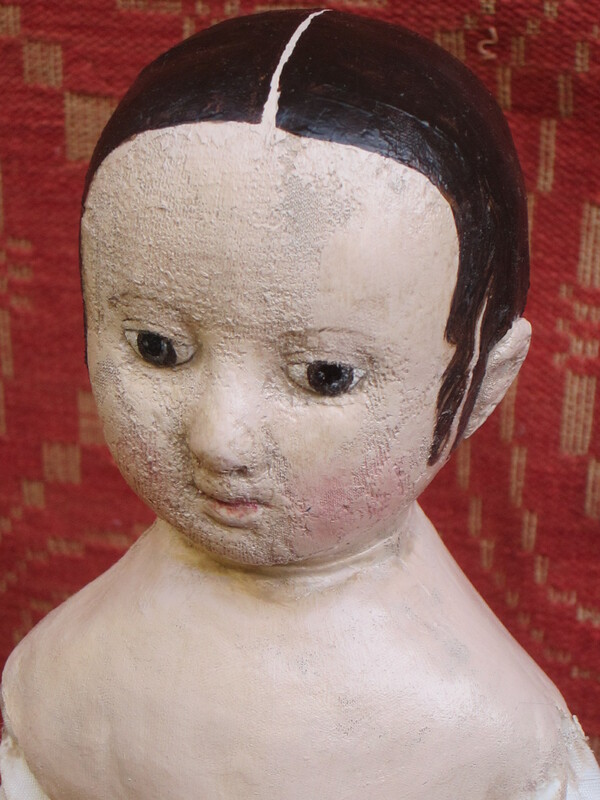 Photo of an uncleaned, unpainted composition head mounted on a stuffed body with custom fitted shoulders. 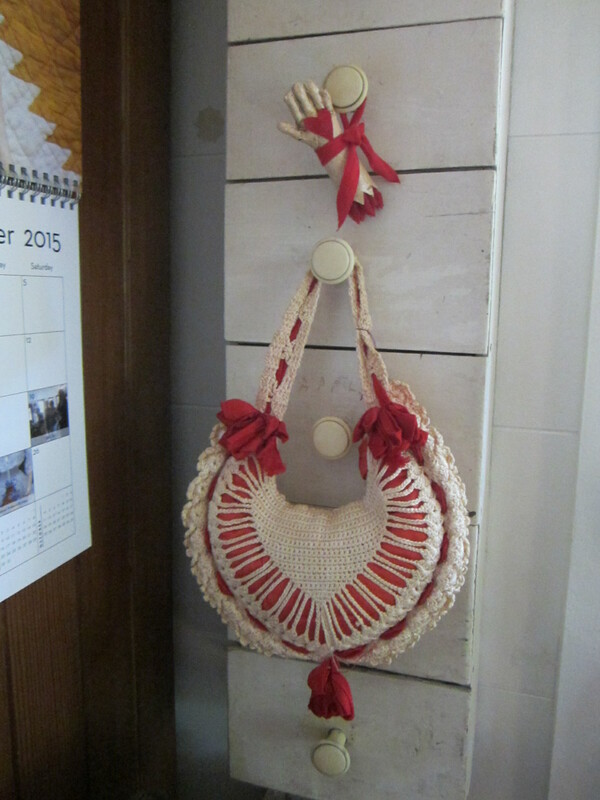 Is it just the same & every bit as good as an all cloth reproduction Izannah? No it’s not, but it is easier to make and it does cost less. 🙂 So that makes it a great alternative for some of you! My kit isn’t for beginners. 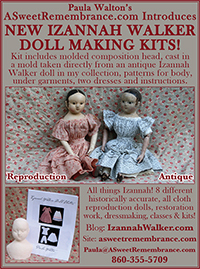 It’s a simpler method of making a reproduction Izannah Walker doll, with an appearance that is faithful to that of the original dolls, but is still a challenging and rewarding project! 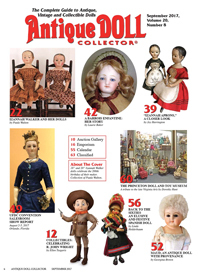 If you have any questions about my kits, classes or dolls please feel free to contact me at 860-355-5709 during east coast business hours or email me anytime at paula@asweetremembrance.com. 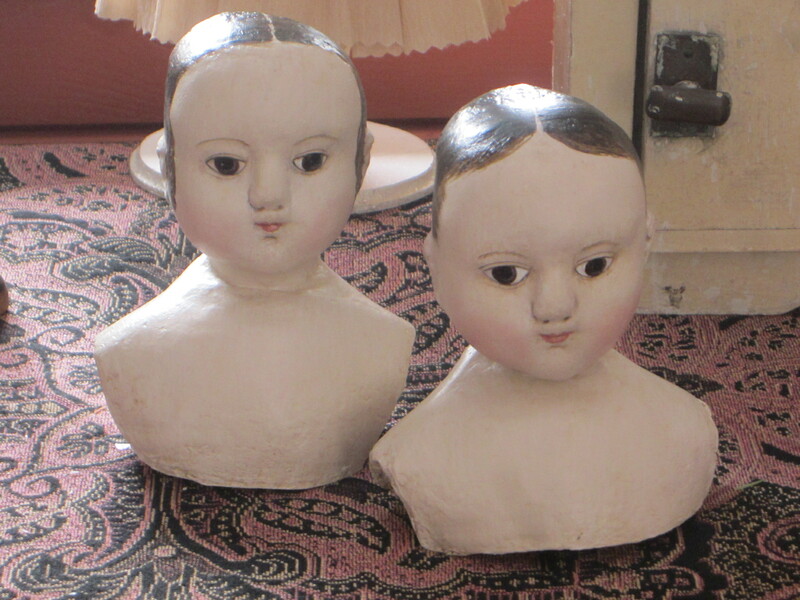 Sooooooooo, a few minutes ago I took additional photos of the painted heads that I posted yesterday. I wish I could show them to you in person, because they look so much richer and more vibrant when they are right in front of your eyes. 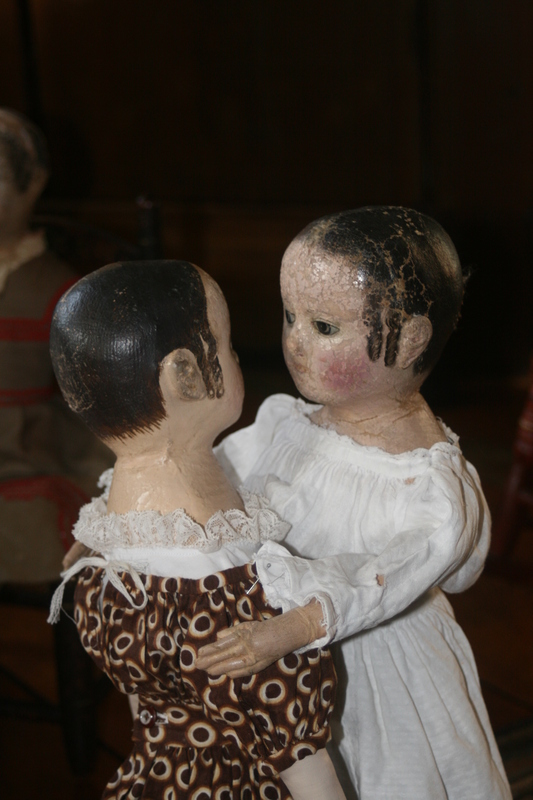 They have a very subtle aged paint surface that does not show up well in photographs. 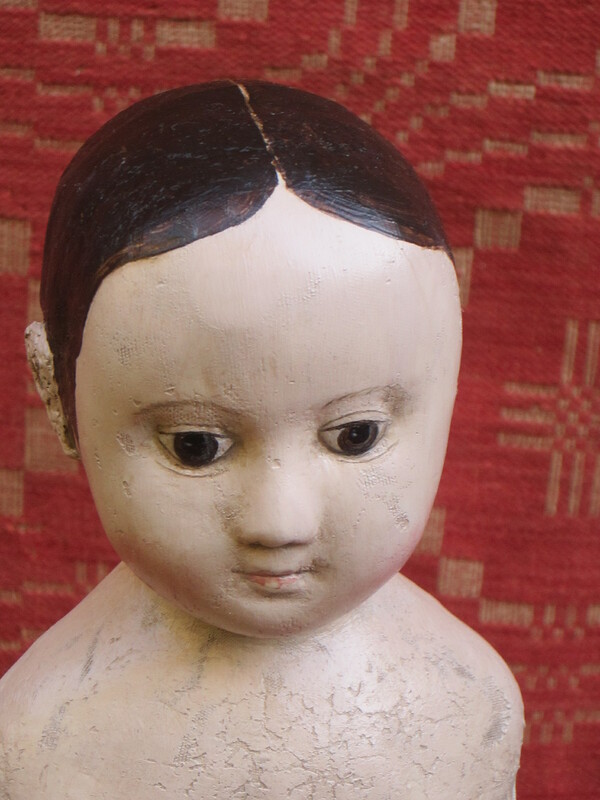 Actually the best way to see the paint surface is to go over to my eBay auction and use the zoom feature on the first photo of doll head #2. 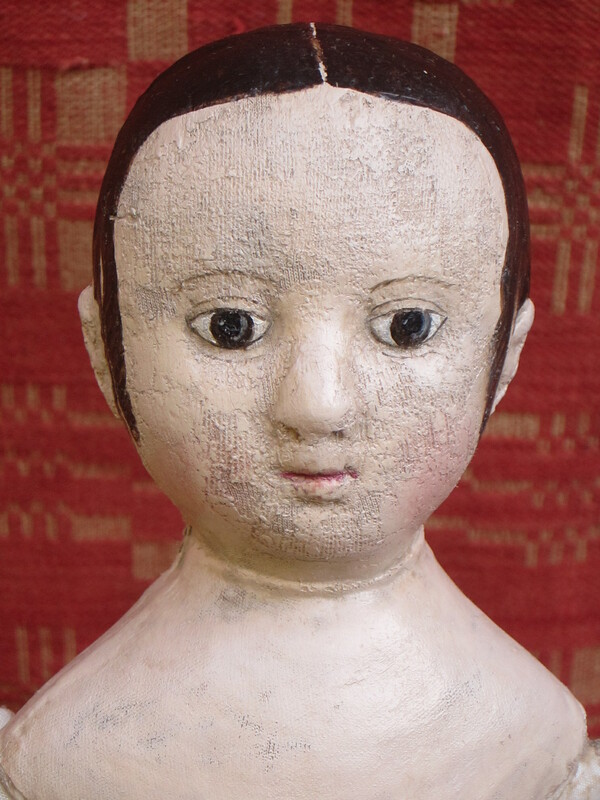 Same information as yesterday’s post: If you are interested in purchasing this head please email me at paula@asweetremembrance.com or call me at 860-355-5709 during east coast business hours. The head sells for $375.00 with the full kit or $340.00 if you already own one of my Izannah kits or classes. 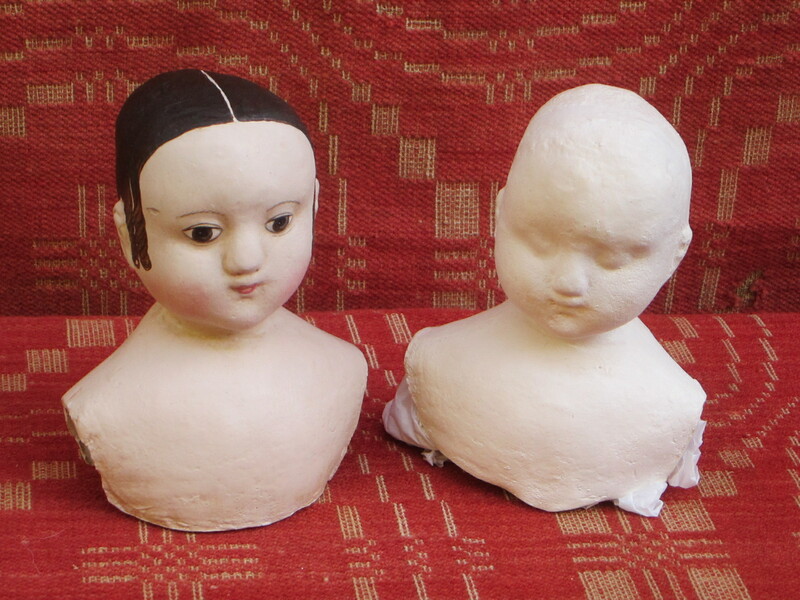 SOLD Here is my painted composition head #1 sitting next to the real Isane. 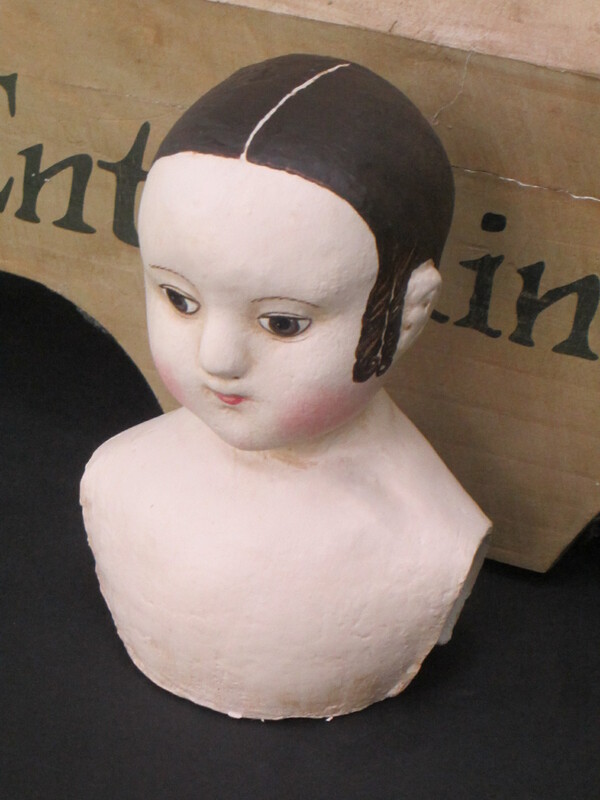 This composition head was formed in a mold that I made directly from Isane, who is an authentic antique Izannah Walker doll in my personal collection. 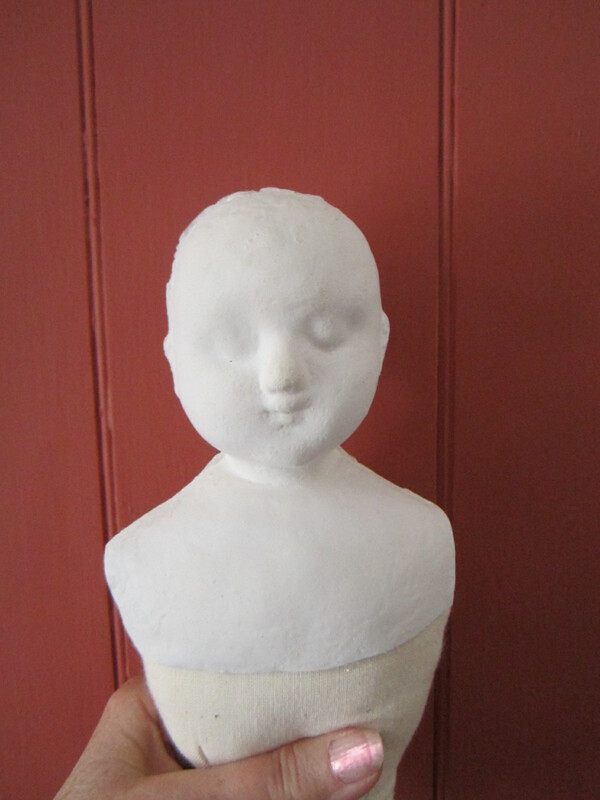 SOLD I am excessively fond of the way this head turned out! 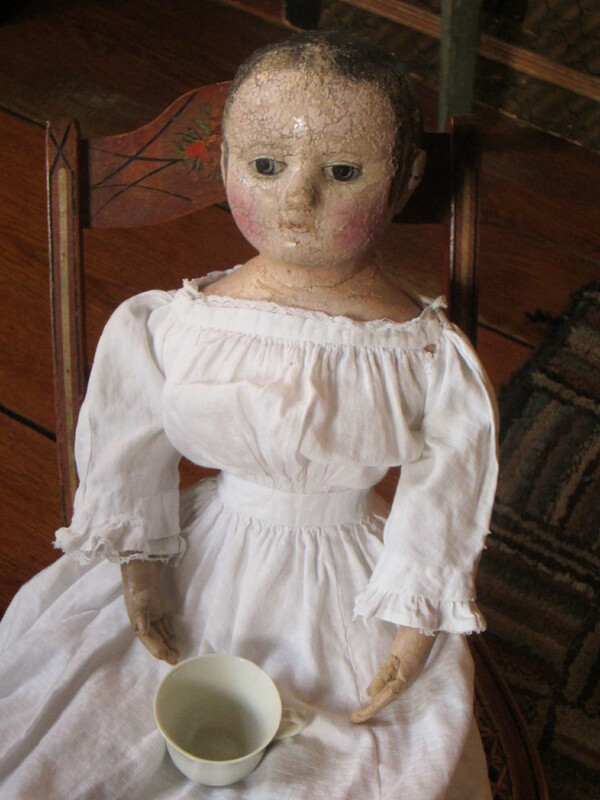 I debated long and hard about whether or not I should paint her and if I did, if I should offer her for sale, since technically she is not a perfect reproduction of the original Izannah Walker doll I made her mold from. I’m extremely glad that I decided that a little variety is sometimes a very good thing. To enhance the baby like look of her face, I chose a rather uncommon Izannah hair style for her. 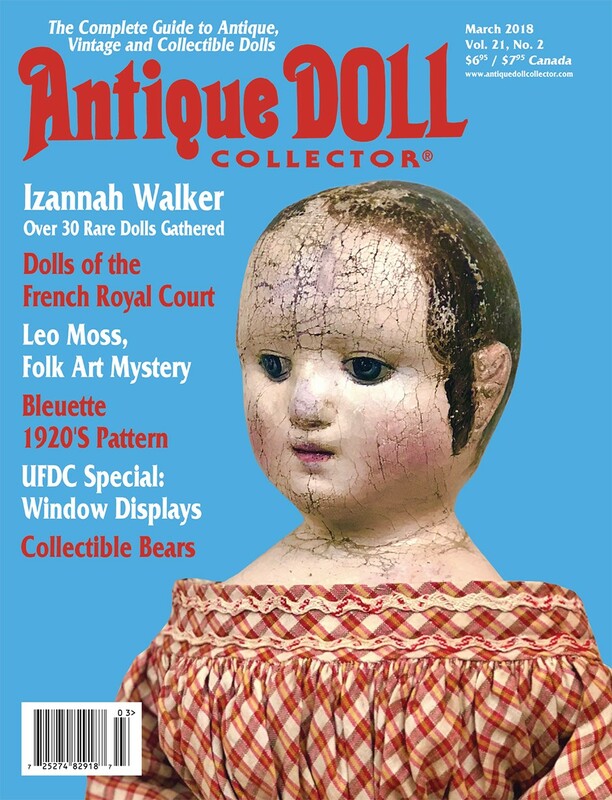 The Carmel Doll Shop once had a magnificent antique Izannah Walker doll with hair painted similarly. If you frequent their website, you may remember her. She was dressed in an amazing off white dress with a great deal of white braid work trim and she wore a necklace of white beads. 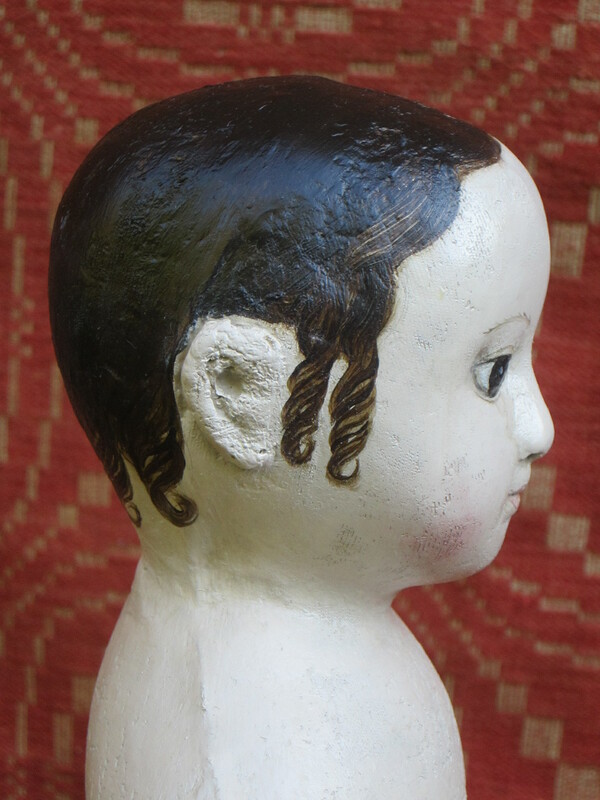 This hair style has very short wispy center parted bangs, with little fringes of hair at the temples brushed towards the face and six ringlets at the back of the head. 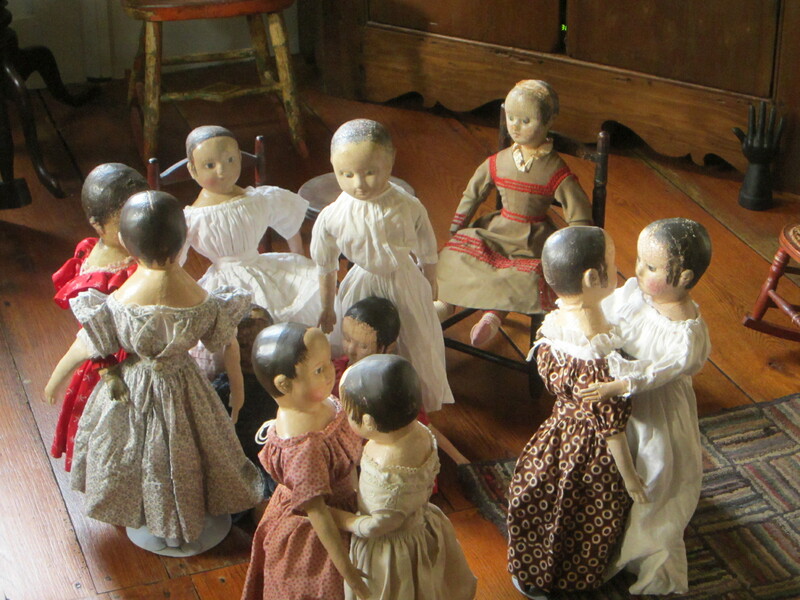 Six is a very unusual number of long curls for an Izannah Walker doll, it is much more common to see five or seven. The large Izannah that I reproduce has nine. SOLD Here is another view of Isane and my painted composition head #1. 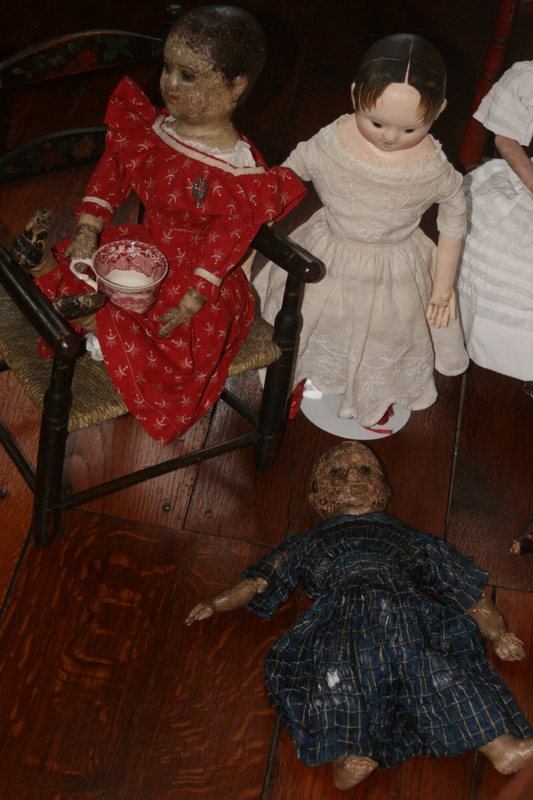 The oil paint does look a bit different on the composition than it does on the pressed cloth heads, but the composition is still a nice alternative if you want to use my kit to make your own Izzy, rather than buying one of my more authentic all cloth reproduction Izannah Walker dolls. 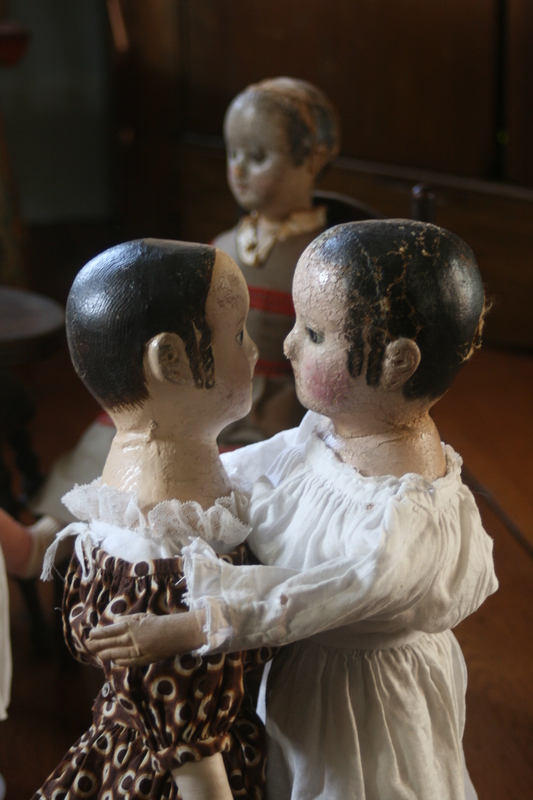 If you would like to see more photos of these two composition heads, simply scroll down the page to the previous post. If you are feeling adventuresome, I have one Izannah Kit, with an unpainted head up for auction on eBay and I also have another kit with an unpainted head in stock and ready to ship immediately that may be ordered through my website.